SeatShare is now an open source project! 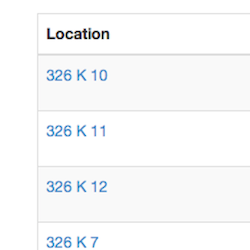 Check us out on GitHub. Everything in SeatShare is organized around the idea of a group. A group is a collection of users (like you!) that often purchase season tickets or receive them from a friend. Generally, a group consists of folks that you know and trust already. 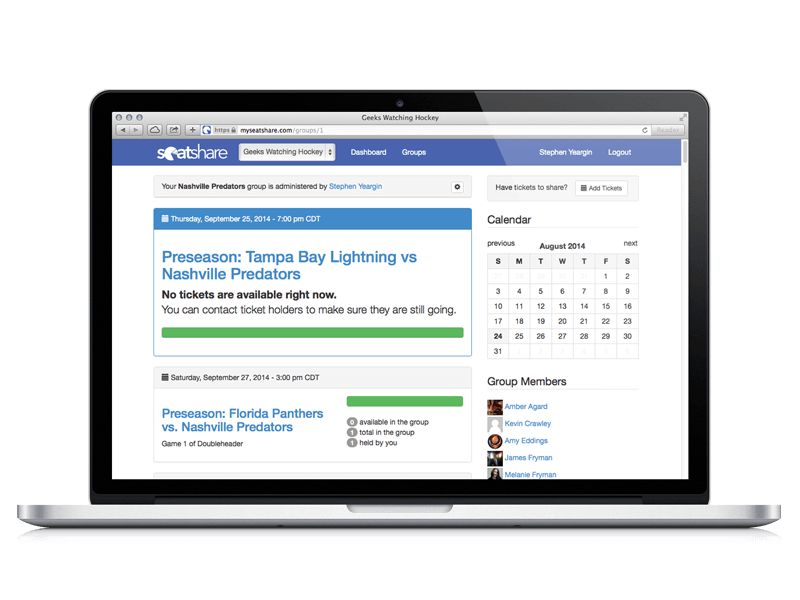 When you join or create a group, you will see a list of ‘Events’ for that team or venue. In most cases, these are individual games in the season ticket package. 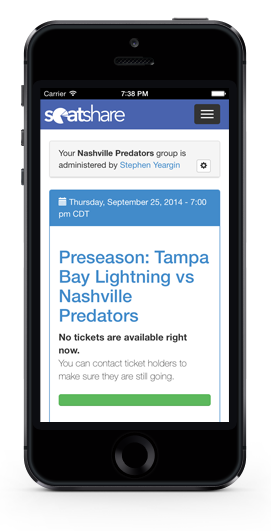 These are pre-loaded in the system for each team and venue available. 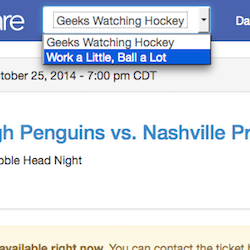 If you want to attend an event, find an available ticket and use the dropdown menu to “Request” the ticket. This will send a message to the ticket holder saying that you want to attend that event. 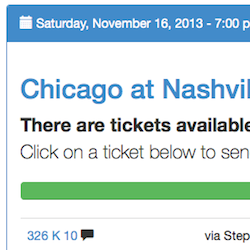 Ticketholders can then update the ticket’s assignee.